Top raw foods chef and author of Sweetly Raw Desserts, Heather Pace, shares nutrient-rich food ingredients for improving overall health and well-being. March 1st, 2017 marks the beginning of National Nutrition Month, an over 30-year-old campaign designed to focus on bettering food choices and developing improved eating and physical activity habits for Canadians. According to StatCan in 2014, 20.8% of Canadians over 18 are classified as obese, with poor eating choices acting as a major contributor. To help incorporate more nutrient-based items into Canadian diets, Victoria-based raw foods chef Heather Pace shares five lesser-known ingredients that pack flavour and function into everyday recipes. March 1st, 2017 marks the beginning of National Nutrition Month, an over 30 year old campaign designed to focus on bettering food choices and developing improved eating and physical activity habits for Canadians. According to StatCan in 2014, 20.8% of Canadians over 18 are classified as obese, with poor eating choices acting as a major contributor. To help incorporate more nutrient-based items into Canadian diets, Victoria-based raw foods chef Heather Pace shares five lesser-known ingredients that pack flavour and function into everyday recipes. With over 20 amino acids (including eight essential amino acids), this South American root (also known as Peruvian ginseng) is great for libido, fertility, memory, focus and energy. 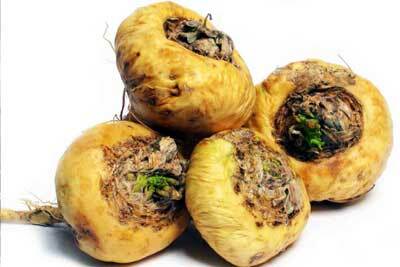 Known as an adaptogen, this root helps with the body’s response to stress. It can be purchased in powdered form and has a pleasant malty taste that can be used in desserts, smoothies and other drinks. Most famously known for its anti-inflammatory properties and high iron content, this spice from the ginger family also helps balance blood sugar and loosen stiff joints. Turmeric is commonly used in curry powder and has a strong taste, but can be added to most soups, dips, salad dressings, tea, smoothies and even desserts. It can be used fresh or in powdered form. Dubbed “the healthiest new oil” for it’s lack of cholesterol, trans fats and high content of vitamin E, avocado oil comes from the fruit flesh, rather than the seed like most oils. Avocado oil assists the body in absorbing important nutrients and has been found to lower cholesterol and blood pressure. Because of it’s neutral flavour, avocado oil is a great option for salad dressings, dips, baking and cooking. High in antioxidants, minerals, vitamins B, K and D, the chaga mushroom grows on birch trees in Canada, Northern United States and Russia. A source for natural energy, chaga can be made into a tea that has vanilla and maple properties to it. Chaga can also be added to smoothies or used in desserts like cheesecakes, puddings and pies. See recipe for Superfood Shake below. High in vitamin C and iron, hibiscus is a tropical flower with a tangy, cranberry-like flavour. Also high in antioxidants and an abundance of minerals, hibiscus helps to boost immunity, decrease inflammation, and works as a natural diuretic. In it’s dried form, the flower can be used in a variety of smoothies and desserts like this lemon hibiscus raspberry cheesecake! Blend the chilled chaga tea and cashews until smooth, creating a milk. Add remaining ingredients (starting with 4-5 ice cubes) except cacao nibs and blend until smooth. The mixture will be thick. Taste. Add more ice if you like, or a few drops stevia if you want it sweeter. This will depend on how much cacao powder you add. Add cacao nibs and blend for a few seconds to break them down. Drink immediately! Previous: Why does God want us with Him in Heaven?